Gold nutrition Clinical Melatonin Power Sleep 30 Capsules. 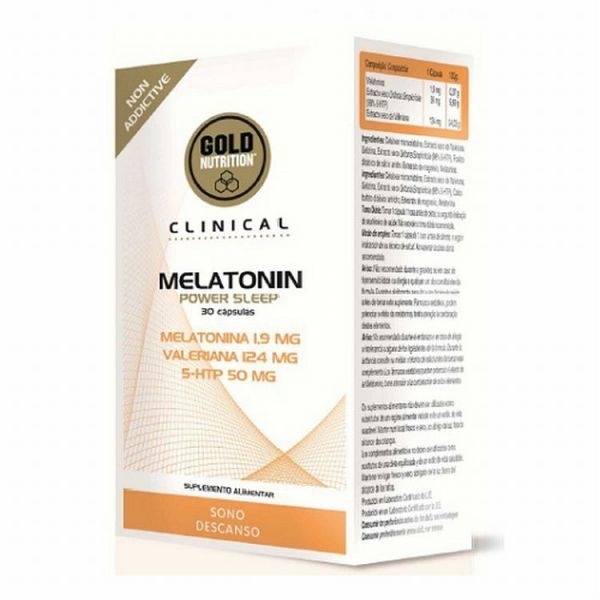 Melatonin Power Sleep GoldNutrition® Clinical is a formula comprising Melatonin, which helps cut the time needed to sleep and alleviates the effects of jetlag, combined with Valerian, which aids normal sleep, and 5-hydroxytryptophan. “Melatonin contributes to helping one fall asleep more quickly” – to obtain this benefit one must consume 1mg of Melatonin when going to bed. “Melatonin contributes to the alleviation of jetlag” – to obtain this benefit one must consume at least 0.5 mg of Melatonin before going to bed on the first day of the journey and in the days after arrival at the destination. Daily Dose: Take 1 capsule 1 hour before going to bed, or as recommended by your doctor.